On this page I want to address some of the things an owner may want to consider, when choosing safe and enjoyable toys and chewies for his Aussie. Dogs need to chew, especially during the first year of life when they are teething. They also have a need to play, though some dogs will want to play more than others. What kinds of games a dog may enjoy, as well as what kinds of toys they may like will vary from dog to dog, and maybe even will change throughout a dog's life. 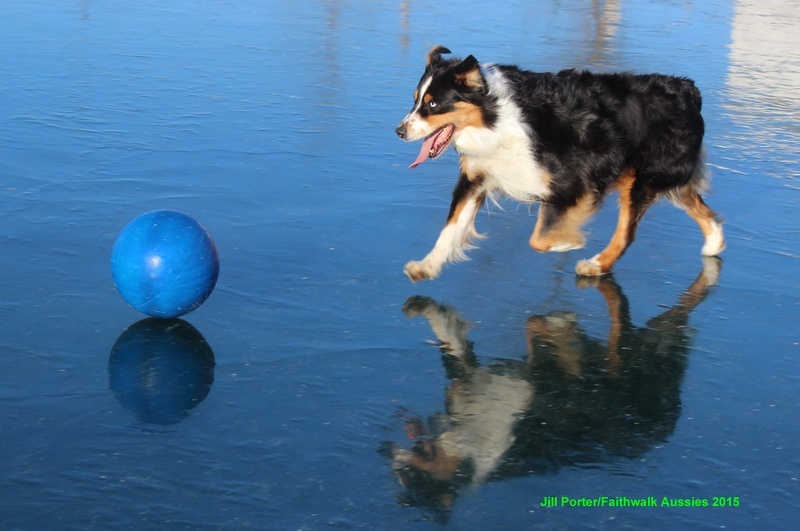 Many Aussies enjoy playing fetch, either will smaller balls like tennis balls, or bigger ones like soccer or basketballs, or toys made especially for dogs. Some will enjoy playing frisbee. Some may like to play tug or just play with toys that make various noises. Some may enjoy the interactive toys such as a Buster Cube which when rolled around, dispenses bits of food or treats the owner has loaded into the toy. Some people like to leave their Aussies Kong Toys stuffed with goodies, especially when the owner has to be gone for any length of time. 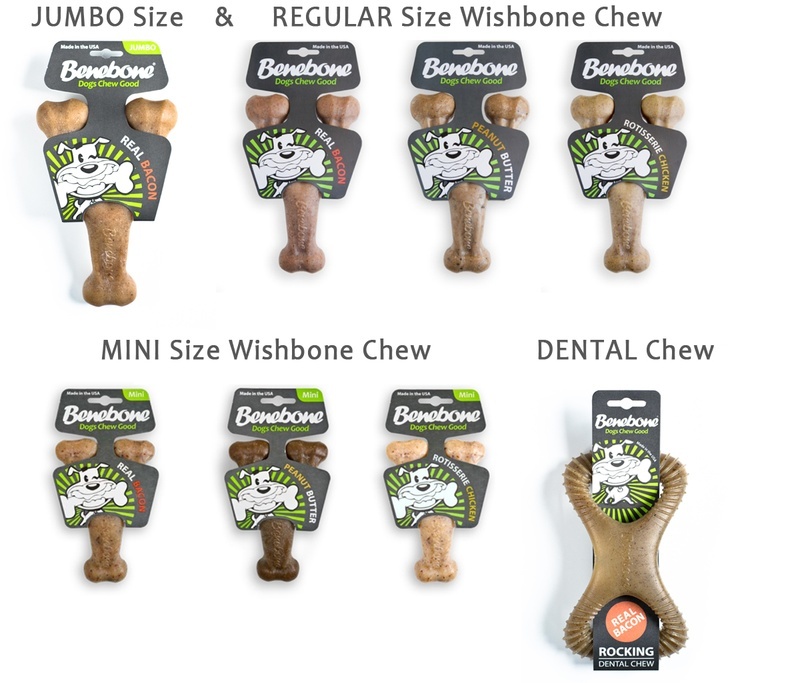 Nylabones are also another good choice for heavy duty chewers. Some Aussies will really enjoy chewing things like rawhide, pig ears, beef pizzles, cow hooves or other edible treats. My dogs love all those things. The one thing I will REALLY stress is these kinds of treats need to be given when the owner can supervise. Some dogs chew slowly and safely, others may try to bite off and ingest large pieces. Also, another really strong caution is to buy American made rawhide or other chewies. I can't stress this enough! Animal products such as these that are processed in other countries, especially China, are very likely to contain dangerous chemicals, as pet treats are not regulated out of the U.S. There have been numerous recalls of Chinese pet products, some after American pets were killed by them. American made beef hide, pig ears, and other chewies would be the safest choice. I also would recommend giving thicker pieces, or larger pieces like the bigger knotted bones or rolled rawhide, so a dog has a lot of time to chew before getting down to a small piece. Personally, I like the rolls, sometimes called retriever rolls, best of all. There are no knots to be chewed off. I included a picture of the rolls below. I often discard the last bit of a bone or roll, or cow hoof. And while my dogs can eat cow hooves, I don't give them often as they do seem to put more wear and tear on teeth. Some dogs chew them so vigorously they chip teeth. The plus side is they do build up muscle and help clean teeth, so if cow hooves are given, do it with supervision. Another option, especially for raw fed dogs, is beef knuckle bones. They are a great recreational chew toy. However, they can be somewhat messy, and some dogs may have problems with the amount of fat and marrow. If that's the case, you can trim some of the fat off, or limit the amount of time your dog has access to the bone. I often serve them partially frozen, let the dogs chew a while, and then put them back in the freezer. After a few sessions I discard them. If you leave raw bones around to dry out, they get more brittle and are less safe as a chew toy. I do avoid the dry, sterilized bones sold in pet stores, as well as the "basted" or "baked" kinds. I have found they to be very brittle and unsafe. With things like stuff or plush toys, vinyl or latex squeaky toys, or other "softer" type toys, make sure you also supervise to make sure your dog doesn't want to just rip up and eat parts. Some will and some won't. Same for rope toys. If you want to play tug with a rope toy, make sure you don't pull too hard or yank the pup around, as you can damage the teeth or spine. Tug can be a great way to maintain your dominant status over a pup, but only if you start and finish the game, not let the dog always "win." Practice the "leave it" command during the game, so the dog learns to let go upon your command. It keeps you in control of the game. For really rowdy or pushy dogs, tug may not be a great choice of games, but for many dogs it is fun and rewarding. Some trainers recommend not playing tug games, but I find they are fun and invigorating, and it has never caused any issues with the relationship between me and my own dogs. I also give tug toys for the dogs to play tug together. Mine seem to really enjoy that as well. However, my dogs very favorite toy is one called a "Jolly Ball." 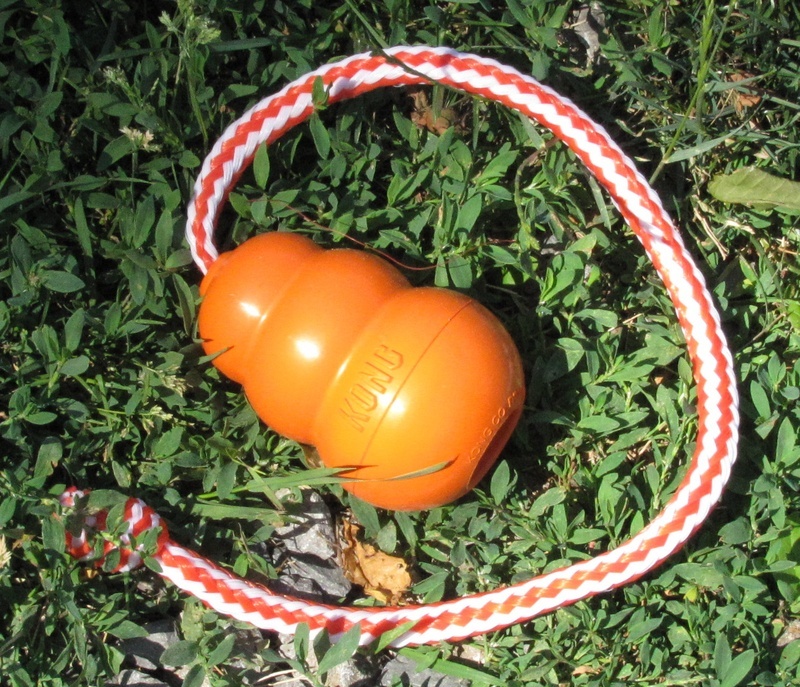 The particular kind I get is medium sized and has a rope toy going through the middle. My dogs will fetch it over and over, often with several hanging on and "helping" as in the photo above left. One of my dogs likes to see how many stuffed toys he can cram in his mouth at one time, which we find very amusing. I think he feeds off that as he often gets more and more silly as he does it. Some dogs like to carry toys around just to "show you" or to entice other dogs into playing tug or chase. I find Aussies really do enjoy toys! 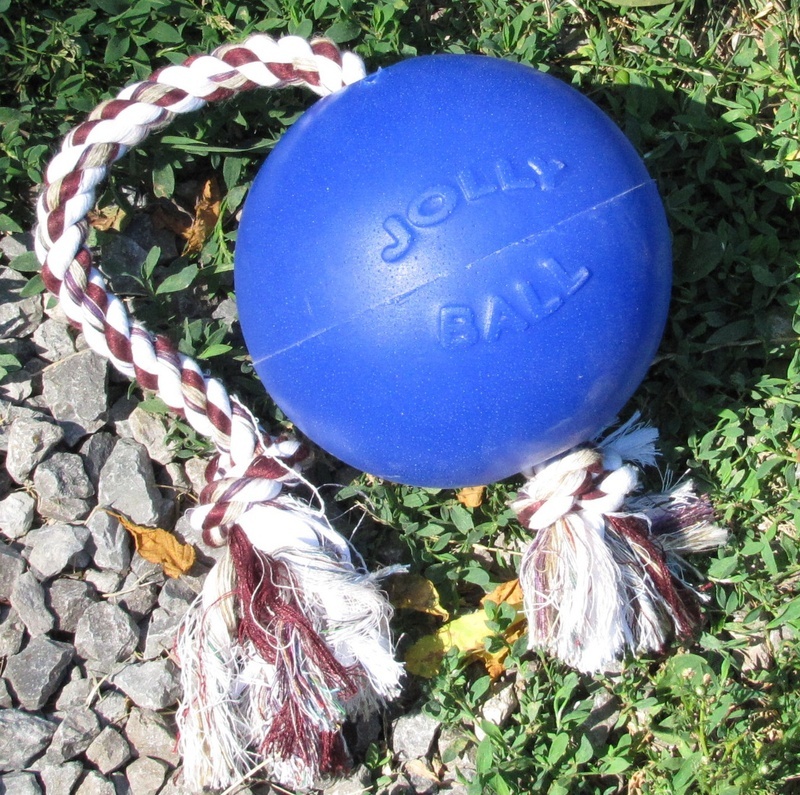 Other fun toys my dogs LOVE include the Jolly Ball with the rope. I use the 6" size as they seem to like that better than the bigger size. We go through half a dozen a year but it's worth it, since they have so much fun with them! They also enjoy water toys, including the Wet Wubba and the Water Kong. 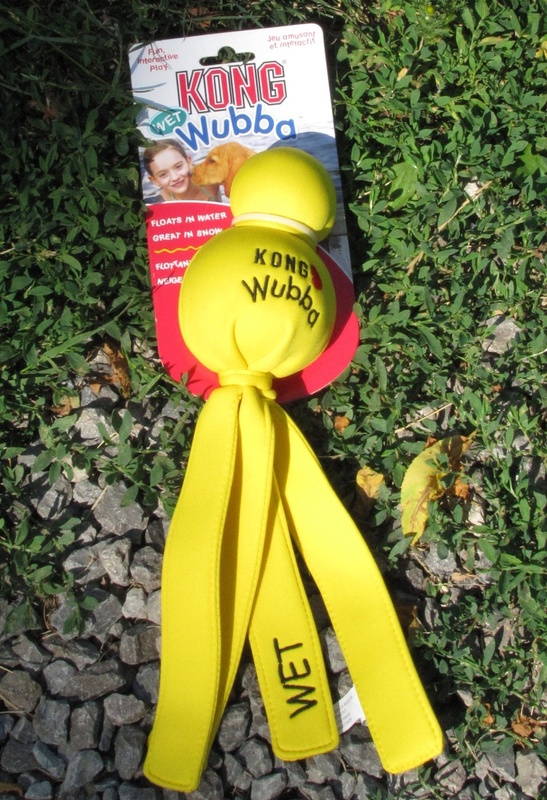 I only use these in the pond, since the Wet Wubba is not durable enough for every day play. 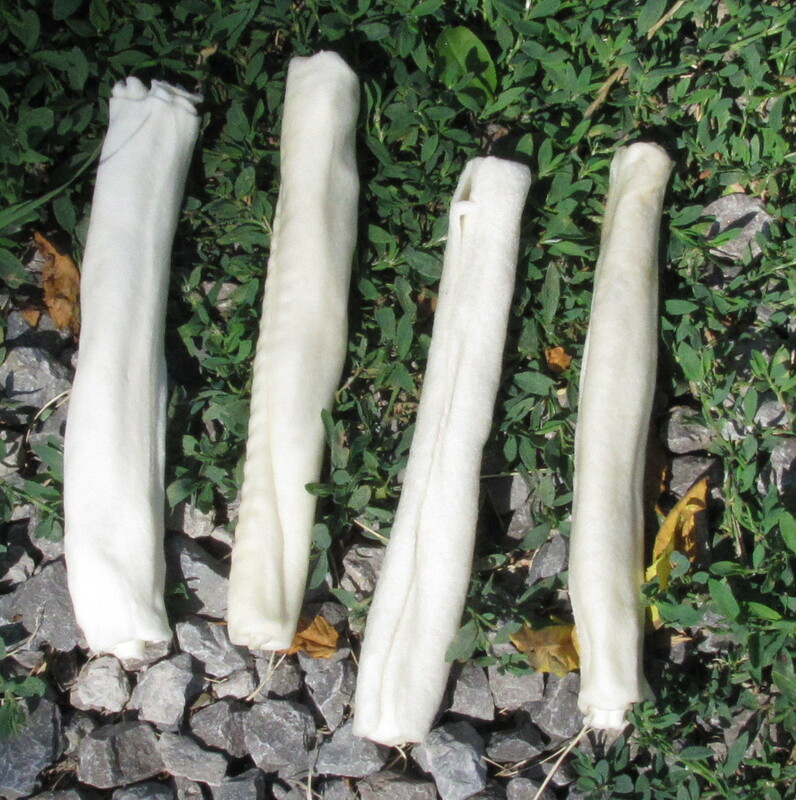 I also added a photo of the rawhide rolls I regularly give the dogs. They are made in the USA (NEVER use treats made in China.) I use the rolls since they seem safer than the knotted bones. I give them when I will be around to supervise, just in case. Below are two of the big Jolly Pet Horseman's Pride horse toys. The top is the 40" size and bottom is the 25" size. I also use the 30" size. The covers are sold separately. The dogs are hard on them so I have gone through quite a few, but it's worth it seeing how much fun they have. Tips for use include inflating fully so they can't grip and pop them as easily, buying extra covers, and saving torn ones to patch new ones. My husband also makes a patch to over the velcro area you insert the uninflated ball, as that helps the cover last longer. I have a whole page with photos of the dogs with these toys. Thanks to one of our puppy owners, I tried Benebone products and am really impressed. I do use Nylabone products but they are made in China, and Benebone is made in the USA. So that is far better! And the peace of God, which suprasses all comprehension, shall guard your hearts and your minds in Christ Jesus."